Amee Huppin Sherer has been working as a Jewish Educator in the Seattle area for over 30years. 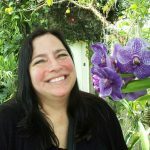 She has taught almost every age group from first grade to adults, and most recently was on the faculty at the Seattle Jewish Community School for thirteen years. She has her BA in Jewish Studies and her Masters in Education, both from UW. 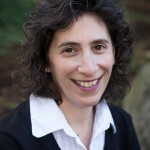 She is delighted to have returned to Hillel at the University of Washington, where she was the program director for three years in the early nineties, and the Acting Director when Rabbi Dan Bridge took a sabbatical in 1995. Amee is married to Michael Sherer and they have two college-age children. She is a fan of all things purple (Go Huskies!) and has been known to find the best deals in town because she loves coupons and sales. She always has a good stash of chocolate in her office so stop by and say hello! Rabbi Dana Benson is so excited to join the UW Hillel community! She grew up in Michigan and received her BA in Communications from Michigan State University. After college, she went to the Hebrew Union College - Jewish Institute of Religion in Cincinnati where she received her Rabbinic Ordination. It was during her time at HUC-JIR that she realized she wanted to work within the Hillel world. She spent her time outside of studying and coursework creating weekend retreats for high school and college students, teaching and exploring new curricular models for Kulanu: The Cincinnati Reform Jewish High School, and working with students at Oklahoma University Hillel. After ordination she returned to her alma mater's Hillel, MSU, to work as their Senior Jewish Educator. Dana is so excited to explore Seattle, to drink great coffee, to explore new museums, and to go see some great theater. Drop by her office if you are in need of some chocolate (especially Reese’s), want to discuss what great show you are watching on Netflix/Hulu, or if you want to help her explore the city. 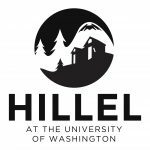 Hunter is returning to Seattle to work with Jconnect at the UW Hillel and could not be more excited. 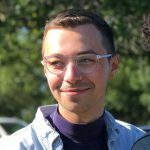 Originally from the Kirkland/Seattle area, Hunter has been living in New Orleans since 2012 where he attended Tulane University to study public health, Jewish studies and sociology. Most recently, Hunter just finished up a year of service in the Big Easy with the Jewish service corps, Avodah, to pursue social justice by reducing health disparities through health education and outreach in poverty-stricken communities—ask him about it! Hunter has actively pursued engaging with his own Jewish community by being a 4th grade religious school teacher for his Synagogue in New Orleans and has put on Shabbats to encourage the exposure of diversity of Jewish practice and thought in his community. Hunter is excited to bring some New Orleans joie de vivre to Seattle and wants to get to know more young Jewish professionals to be part of the engaging and meaningful Jconnect community. Feel free to reach out to talk over a cup of coffee! Terri Green has been working in the field of development for the past 20 years. Her professional focus has been on supporting social justice causes through successful special event planning, grant writing and marketing. 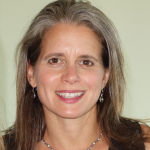 Terri has a BA from Miami University in Oxford, Ohio where she met her husband, Damian Green (an oncologist and UW faculty member), while standing in line at Miami’s Hillel for a Passover Seder in 1990. 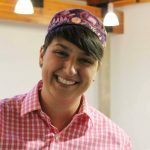 Terri is excited to dedicate her creative energies to UW Hillel and is deeply committed to cultivating the essential link that Hillel provides connecting our Seattle Jewish community to the future. When not at work, you can find her out with her four fantastic daughters and husband swimming, skiing, hiking and just loving the Pacific Northwest. Jonathan is a lifelong resident of NE Seattle and has been active in Jewish communal affairs his entire adult life. A graduate of Colby College in Waterville, ME, (where he was president of Hillel during his senior year! 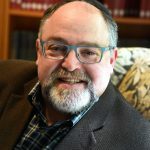 ), a student at the WUJS Institute in Arad, Israel, and a camper at Camp Solomon Schechter in Tumwater, WA, he spent 27 years working in medical group administration in the Seattle area. Jonathan loves to travel – to Israel, France and all around Washington State – and takes great pride in the growing number of Jews, synagogues, and Jewish communal institutions in the Puget Sound area. In addition to his two grown sons and his 30 year marriage to his wife Catherine, he is most proud to have guided the opening of the Seattle Jewish Primary School in 1992. Jonathan is passionate about Jewish community, education, identity, observance, and continuity and is excited to help promote these values through Hillel at UW! Aviva Krause grew up in the San Francisco Bay Area and after spending 11 years in Germany and Israel, she joins us more recently from the University of Central Oklahoma. Most of her family is in WA and she has spent a lot of time here through the years. A dual citizen with Israel, Aviva loves to travel and has been to 30 countries. With over 25 years of admin experience from various government and civilian organizations in the US and abroad, she brings with her a unique perspective on supporting programs. While Aviva was employed by the US Department of Defense in Germany, she founded a humanitarian organization that brought supplies to orphanages in Romania. She has also taught many subjects such as Hebrew, English, Judaic Studies and Middle Eastern cooking, as well as swimming and skiing. An avid snowboarder for 30 years, Aviva was the first lift operator at the first snowboard park in the US, and is very excited to be near mountains again. She is learning to play the bodhran (an Irish, traditional drum) and has recently begun performing at a local pub. Aviva loves to cook, and more importantly to feed people, as well as dabbling in painting and other artwork. If you stop by Hillel, you may get to say shalom to Kali, Aviva's Black Lab mix that has installed herself as Hillel's unofficial greeter. Daniel Bridge served as Rabbi and Executive Director of Hillel UW from 1988-2007. Since retiring from Hillel, he has served as Interim Manager of Northwest Community Programs at the Student Conservation Association; Organizational Consultant to the Somali Community Services Organization; and Consultant to College Access Now and Senior Services of King County.